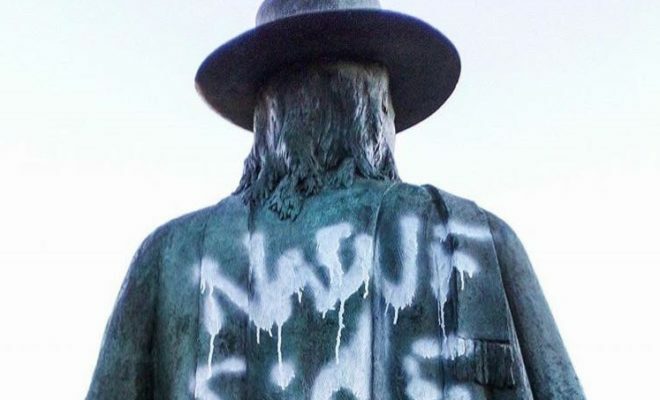 Jimmie Vaughan recently took to his social media accounts after taggers vandalized the iconic statue of his brother and legendary blues artist Stevie Ray Vaughan on the south shore of Lady Bird Lake in Austin. Police in Austin became aware of the graffiti, which looks like it was partially removed in the process. 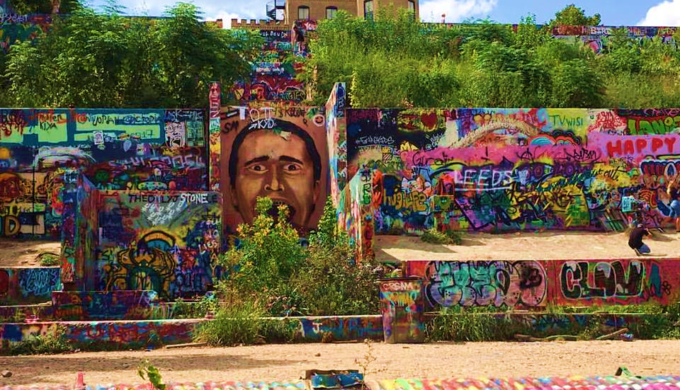 Although the paint seems to be relegated to only the back of the statue, which faces the lake, the simple fact that someone would deface a tribute to Texas talent such as this has stirred his fans, friends, and family into a frenzy, and rightfully so. Three varying accounts from passers-by at the trail on the lake identify that the graffiti was first noticed on Monday, January 29, when the white paint across its back was much brighter and more visible. “We don’t take too kindly to things like this in Texas! Speechless……. for now. JV #SRV” is what Jimmie posted to his Facebook page on hearing word shortly thereafter.